This qualification is suitable for those already working or for those wishing to prepare to work in confined spaces. The general principles of working in confined spaces are covered in this qualification, providing the learner with an understanding of key issues relating to working in confined spaces. 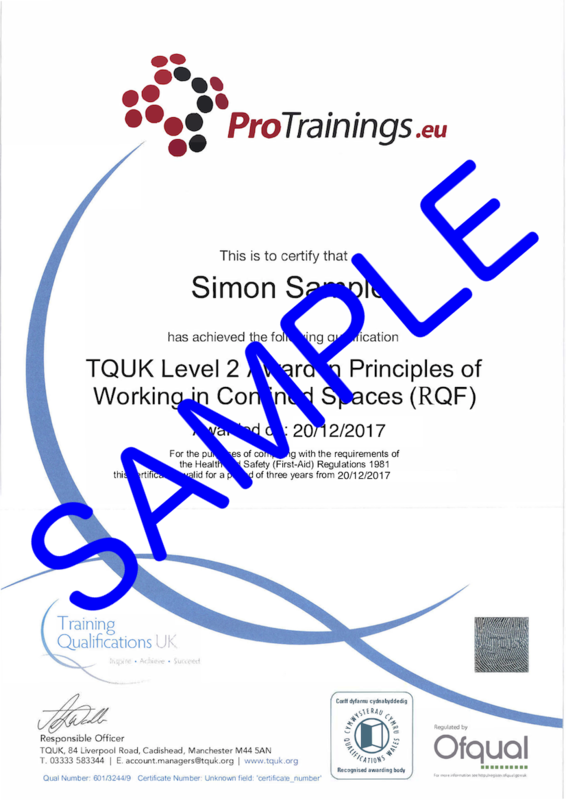 This qualification also forms a part of the competence qualifications for working in a High and Low-Risk confined spaces, providing a clear progression route for a learner.